Isaac Hayes' Shaft came first – but that rec­ord had one great single and a lot of instrumental filler. It was Curtis Mayfield who made a blaxploitation-soundtrack album that packed more drama than the movie it accompanied. 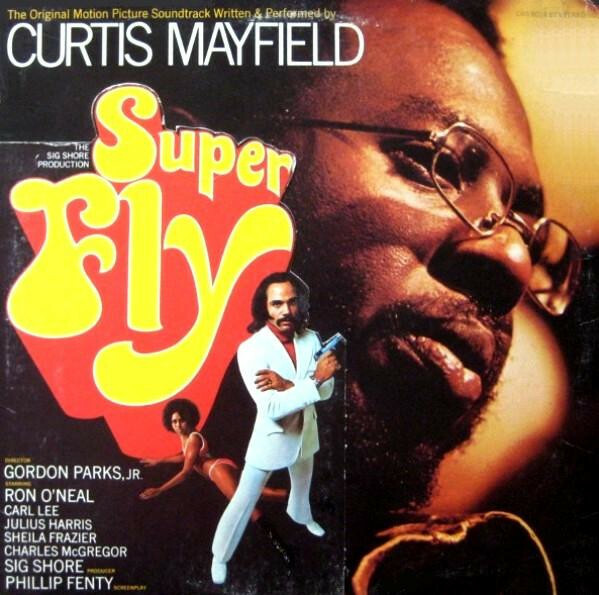 Musically, Superfly is astonishing, marrying lush string parts to deep bass grooves, with lots of wah-wah guitar. On top, Mayfield sings in his worldly-wise falsetto, narrating the bleak ghetto tales of "Pusherman" and "Freddie's Dead," telling hard truths about the drug trade and black life in the 1970s; it was Marvin Gaye's What's Going On at street level. "I don't take credit for everything I write," Mayfield said. "I only look upon my writings as interpretations of how the majority of people around me feel."